Submit the completed Application Form and the following documents to the International Marketing Office. Two (2) photocopies of Passport (all pages including blank pages). Do not resize. Passport must be scan vertically (up – down). (Please include 0.3% commission charge for out station Cheque/ Money Order/ Postal Order issued). If academic records/qualifications are in Language other than English, it must be accompanied with an approved translation. For payment made in US Dollars equivalent, any shortfall due to adverse currency exchange rate may have to be made good by a student at the full discretion of IUKL upon arrival. International student whose native language is not English must provide evidence of English proficiency before he/she can register for a programme. 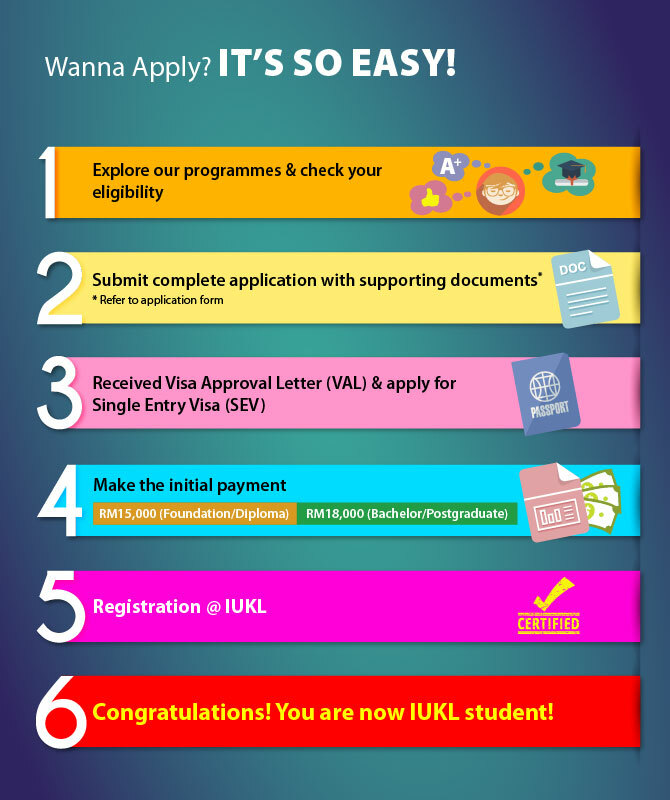 * Communication & language programmes require TOEFL 600 or equivalent. Students are required to sit for the English Placement Test before enrolment if they do not meet the requirements mentioned above. 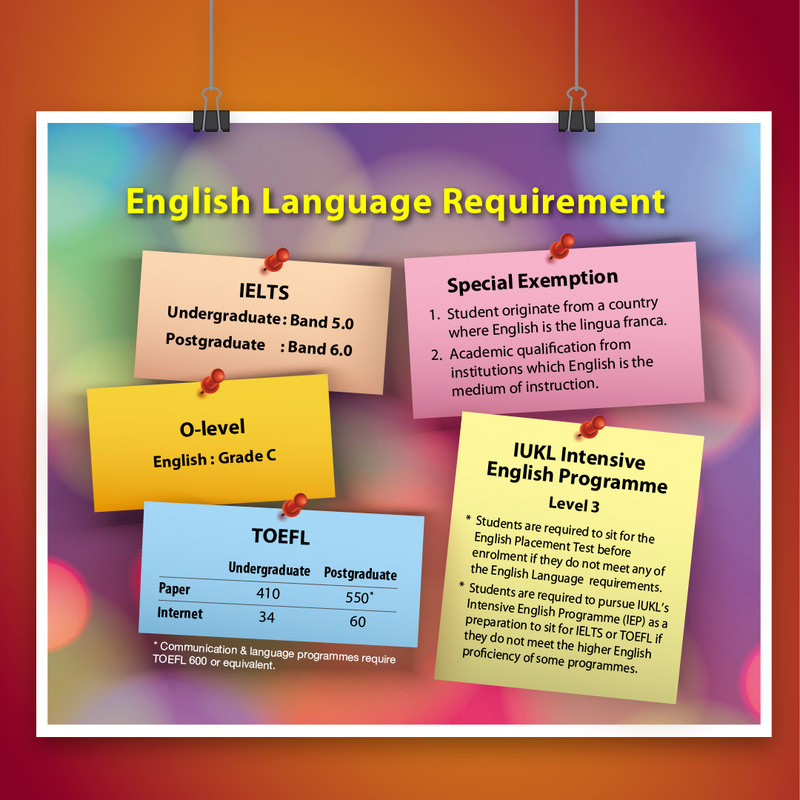 Students would be required to pursue IUKL’s Intensive English Programme (IEP) before proceeding to foundation, diploma, degree or postgraduate programmes. Please note that some programmes may require higher English language proficiency. Kindly refer to the particular programme for further information and feel free to contact the International Marketing Office or refer to the relevant schools or centres for guidance.